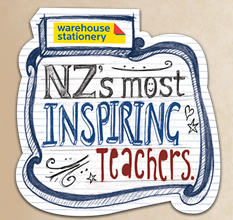 I received a phone call today to say that I have won $1000 worth of stationary from Warehouse Stationary because I've been nominated as the Top 30 (out of over 1100!) most inspiring teachers in New Zealand! Wow, that's pretty crazy! This is yet another 'good news' message that's come my way since the last half of the year. 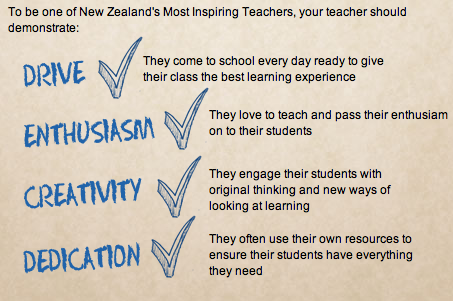 My partner said to me that my school is so lucky to have me, but honestly I think I am lucky to have the school. Or maybe a good combination of both. If you hadn't heard, my class blog Despicable3, came runner up in the 2011 Interface Best Blog Award! Yes, and today is my 30th Birthday! 2011 continues to be a fantastic year!